The Kansas City Royals travel to Baltimore to face the Orioles in the opening game of the American League Championship Series. So, yeah, that's an Alcides Escobar HR and a Billy Butler infield single in the same inning. 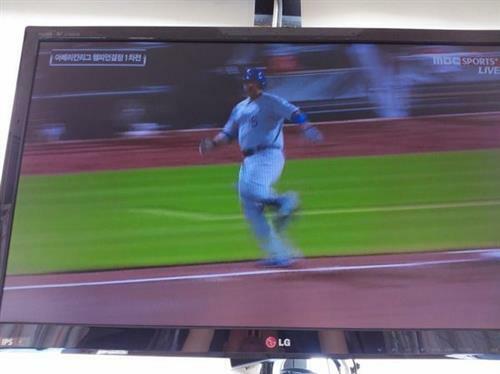 You should watch out, my man Billy @BillyButlerKC , he can run... you guys!!! Dayton Moore did not draft Alex Gordon. Alex Gordon clears the bases. 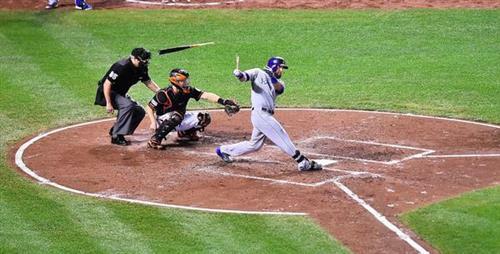 Alex Gordon breaks his bat and breaks some hearts in Baltimore. He clears the bases (again). 4-0, KC. Wow, Nick Markakis looked like he forgot there was a game going on. Gordon hustling straight out of the box. Alex Gordon with the most beautiful broken bat of the season. Three-run double down the RF line Markakis totally misjudged. Royals up 4-0. 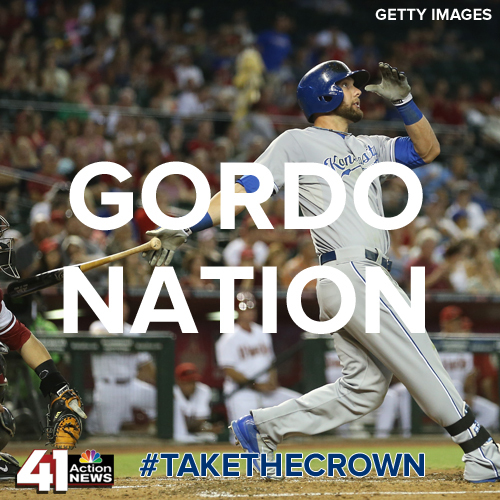 Three Run Triple for Alex Gordon! Gordon with a full-count bases clearing hit. Orioles down 4-0. Tommy Hunter warming up for the Os. The broken bat must've fooled Markakis, because he got a miserable jump on the ball. When Billy Butler scores from first on a double, yeesh. Broken-bat blooper by Alex Gordon clears the bases. 4-0 Royals. The Orioles acted like that was a dead ball. Very odd. I read somewhere the Royals are fast. Cain is fast and he gets in there at 2b. Cain with a leadoff double in the 5th. Hustle double by Lorenzo Cain starts the 5th. Just beat the strong throw by Adam Jones. Hunter is on now. Tillman is done. Hunter entering for Tillman with one out and a man on third in the 5th. Chris Tillman will not finish the fifth inning. Buck Showalter has cracked open his bullpen. Here comes Tom Hunter. Tillman out of the game after just 84 pitches. Butler with a sac fly. 5-1. Bill Butler gets the job done with a sacrifice fly. 5-1, KC. Butler's sac fly plates Cain and makes it 5-1 Royals.
.@BillyButlerKC comes through with the sac fly. #Orioles down 5-1 after Cain scored on Butler sac fly. Hunter picks off Gordon to end the top of the fifth.